Exercise training provokes widespread transformations in the human body, requiring coordinated changes in muscle composition, blood flow, neuronal and hormonal signaling, and metabolism. These changes enhance physical performance, improve mental health, and delay the onset of aging and disease. Understanding the molecular basis of these changes is therefore important for optimizing athletic ability and for developing drugs that elicit therapeutic effects. Written and edited by experts in the field, The Biology of Exercise from Cold Spring Harbor Perspectives in Medicine examines the biological basis of exercise from the molecular to the systemic levels. Contributors discuss how transcriptional regulation, cytokine and hormonal signaling, glucose metabolism, epigenetic modifications, microRNA profiles, and mitochondrial and ribosomal functions are altered in response to exercise training, leading to improved skeletal muscle, hippocampal, and cardiovascular function. Cross talk among the pathways underlying tissue-specific and systemic responses to exercise is also considered. The authors also discuss how the understanding of such molecular mechanisms may lead to the development of drugs that mitigate aging and disease. This volume will therefore serve as a vital reference for all involved in the fields of sports science and medicine, as well as anyone seeking to understand the molecular mechanisms by which exercise promotes whole-body health. Please visit our website to access free samples and for further information on this title. IMAGE: Exercise is physiological and metabolic stress that is unparalleled in its ability to elicit dynamic changes in organ function, whole-body metabolism, and performance. 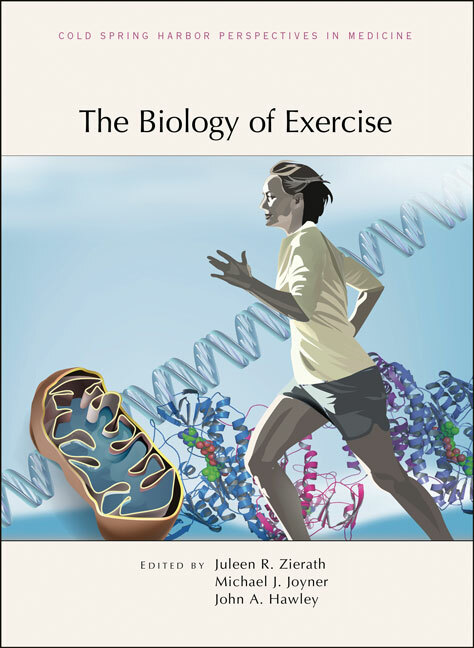 In this volume, the biology of exercise is probed from the molecular level to the clinic. Key insights into the molecular and physiological responses to acute exercise and exercise training are presented. Illustration created by Romain Barres, The Novo Nordisk Foundation Center for Basic Metabolic Research, University of Copenhagen.